The South Korea government plans to auction 216 bitcoins that it confiscated during a 2016 criminal investigation, according to local reports. South Korean publication Seoul Economic Daily reports that the cache of bitcoins – worth roughly $540,000 at press time – was seized during a cyber investigation operation by the South Gyeonggi Provincial Police Agency, which arrested a 33-year-old individual in April for operating an obscenity website. It’s the first auction of its kind. According to the Korea Asset Management Corporation (KAMCO), the country’s asset management operation that oversees state-owned properties and development, any seized financial assets including digital currencies became government properties, subject to public auctions. It is anticipated that the final bid could be slightly lower than the market price, which is currently at approximately $2,525, according to CoinDesk Bitcoin Price Index. KAMCO told the publication that 3% of the sales will be returned to the South Korean government. 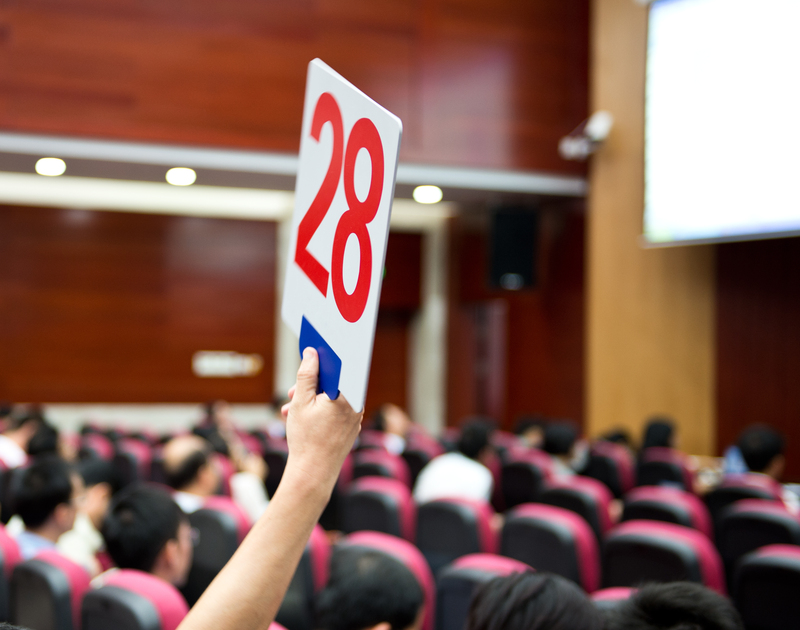 The auction comes amid a boom in South Korea’s local cryptocurrency market. Domestic exchange platforms like Bithumb, Korbit and Coinone have seen significant increases in trade volume in recent months According to data from CoinMarketCap, the Korean won is currently contributing to 32.26 per cent of the trading volume of ethers, the cryptocurrency of the ethereum network. Correction: This article and its headline have been amended to correct the dollar-denominated value of the bitcoins being auctioned.